A native of Albuquerque, Ms. Gutierrez graduated from the University of New Mexico School of Law in 1986. She has practiced law with the Moses Firm since 1988. Ms. Gutierrez is admitted to practice before all New Mexico state and federal courts and the Tenth Circuit Court of Appeals. 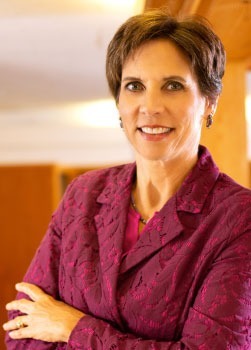 She is a member of the American Bar Association and the New Mexico State Bar. She is a Martindale-Hubbell AV Preeminent Attorney. Ms. Gutierrez focuses her practice on employment law, banking litigation and transactional and litigation matters involving real estate. Ms. Gutierrez has served on numerous boards, including the Airport Advisory Board for the City of Albuquerque, the City of Albuquerque Personnel Board, the Board of Directors for Plaza National Bank, and as the Chairperson of the Business Section of the State Bar of New Mexico. She presently serves as the Chair of the Bosque School Board of Trustees and was previously on the Board of Trustees of Manzano Day School and A Child’s Garden. Ms. Gutierrez is active with running, exercise, reading and travel.